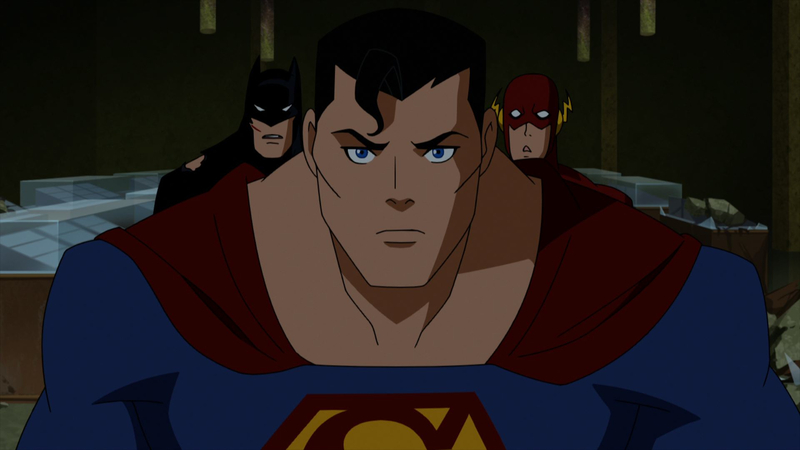 Justice League: Doom finds Superman, Wonder Woman, Flash, Green Lantern, Martian Manhunter, Cyborg and Batman on their heels when a team of super villains discover and implement the Dark Knight's "contingency plans" for stopping any rogue Justice League member. The story is inspired by Mark Waid's much-heralded "JLA: Tower of Babel." Primetime television stars Nathan Fillion (Castle) and Tim Daly (Private Practice), the reigning voices of Green Lantern and Superman, respectively, join a group of eight actors reprising their famed Justice League cartoon roles. 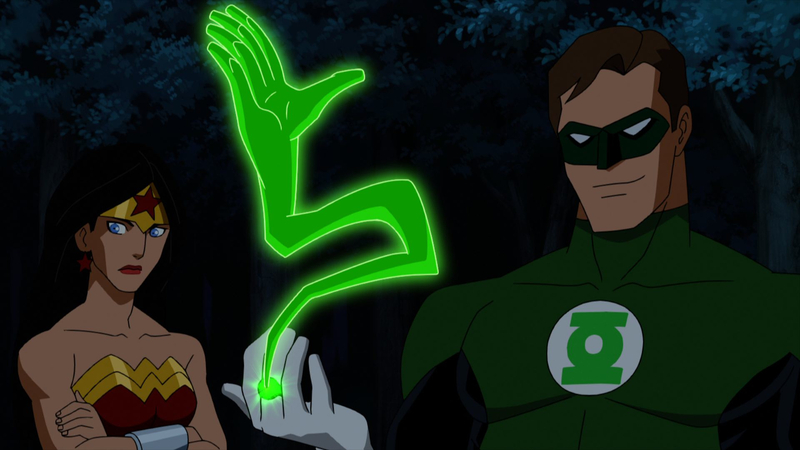 Fillion made his debut as Green Lantern/Hal Jordan in the recent Green Lantern: Emerald Knights, and took his initial DC Universe movie bow as the voice of Steve Trevor in the 2008 hit Wonder Woman. Daly originated his role as Superman's voice in the landmark cartoon, Superman: The Animated Series. He has reprised the role in two DC Universe films: the 2009 extravaganza Superman/Batman: Public Enemies and the 2010 thriller Superman/Batman: Apocalypse. The grand reunion of actors who provided the voices of the Justice League for the cartoon of the same name and its follow-up, Justice League Unlimited, includes Kevin Conroy (Batman: The Animated Series) as Batman, Michael Rosenbaum (Smallville, Breaking In) as Flash, Susan Eisenberg (Superman/Batman: Apocalypse) as Wonder Woman and Carl Lumbly (Alias) as J'onn J'onzz/Martian Manhunter. Bumper Robinson (A Different World, Transformers: Animated) joins the cast as Cyborg. The Justice League faces two sets of villainous teams in the film - The Royal Flush Gang and a sextet of notable evildoers. 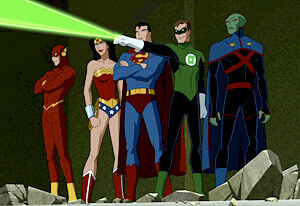 The latter group includes three voice acting alumni of the Justice League animated series: Phil Morris (Smallville, Seinfeld) as Vandal Savage, Olivia d'Abo (The Wonder Years) as Star Sapphire, and Alexis Denisof (Angel) as Mirror Master. Also opposing our heroes are Carlos Alazraqui (Reno 911) as Bane, Paul Blackthorne (The Dresden Files) as Metallo, and Claudia Black (Farscape, Stargate SG-1) as Cheetah. David Kaufman (Danny Phantom) also reprises his Justice League role of Jimmy Olsen. The film is executive produced by Bruce Timm (Batman: Year One), and directed by Lauren Montgomery (Batman: Year One), who is also credited as producer alongside Alan Burnett (Batman: The Animated Series). 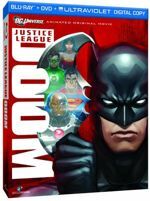 Justice League: Doom is the final DC Universe film script from the late Dwayne McDuffie (All-Star Superman, Justice League: Crisis on Two Earths), who passed away in February 2011. Casting and dialogue direction is once again in the capable hands of Andrea Romano (Batman: Year One, Justice League). "Justice League: Doom has all the classic ingredients of a great super hero film - a cavalcade of dynamic villains, internal strife amongst our heroes, treacherous twists and turns, and a cast that brings together some of today's popular primetime television actors with many of the fans' favorite voices from the original series," said Hersin Magante, Warner Home Video Marketing Director, Family & Animation. "I think fans will embrace Dwayne's McDuffie's final DCU script, particularly as it has been nuanced by Bruce Timm and the Warner Bros. Animation team. 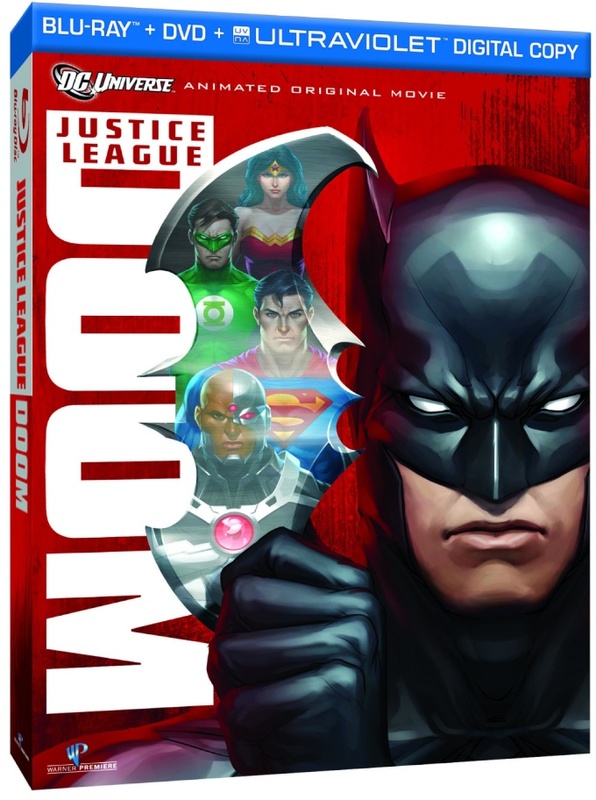 Warner Home Video is proud to distribute Justice League: Doom as the next DC Universe Animated Original Movie." Featurette - "A Legion of One: The Dwayne McDuffie Story" - The skilled writer penned some of the best stories which consistently entertained fans. From his early writing career to adapting the popular work of All-Star Superman, this is the story of Dwayne McDuffie, as told by his family and friends. Featurette - "Guarding the Balance: Batman and the JLA" - Everyone has a weakness and so do superheroes, yet when they go rogue, their power can topple more than a few egos, they can shatter worlds. The Justice League is the most powerful organization of superheroes on the planet, but what if the Justice League went rogue, and decided to use their power for harm? Mini-featurette - "Their Time Has Come: Cyborg and the DC Universe's New Diversity" - 2011 will go down in DC Comics storied history as a year when a rich diversity of characters were re-introduced into the spotlight alongside Superman, Batman and Wonder Woman. One of the most celebrated of the re-imagined characters is Cyborg, who became the new Man of Steel in Geoff Johns' altered universe storyline, Flashpoint.